Occipital neuralgia is a condition resulting in intense painful spasms felt along the back of the head, upward to the top of the head. While the sensations may be similar enough to be misdiagnosed as a migraine, this syndrome is not a migraine and is not likely to respond to migraine medications. The causes of occipital neuralgia include a wide range of problems in the neck area, ranging from minor to serious. Causes may include arthritis of the neck, problems with the vertebrae, tumors in the neck area, tight neck muscles, and other conditions. If occipital neuralgia is diagnosed, a neurologist will search for the underlying cause through a detailed history of the patient's symptoms as well as imaging studies. In some cases the cause is clear, but in many cases, no cause is found for occipital neuralgia. 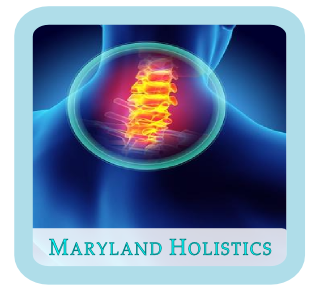 Maryland Holistics offers acupuncture which is an effective method of pain-relief in the treatment of many pain-related health conditions. The relief resulting from acupuncture often lasts many times longer than the relief from a single dose of a medication. This is because acupuncture works in a very different way, helping your body to heal at a deeper level. If the cause remains unknown after a neurologist's thorough examination, or if the cause is suspected to be arthritis or tight neck muscles, its very likely that our practice can help the patient experience relief. This condition is relatively rare and many general medical providers may not be thoroughly familiar with it. Patients who visit our clinic for this condition will benefit from our many years of experience and commitment to excellent quality care.